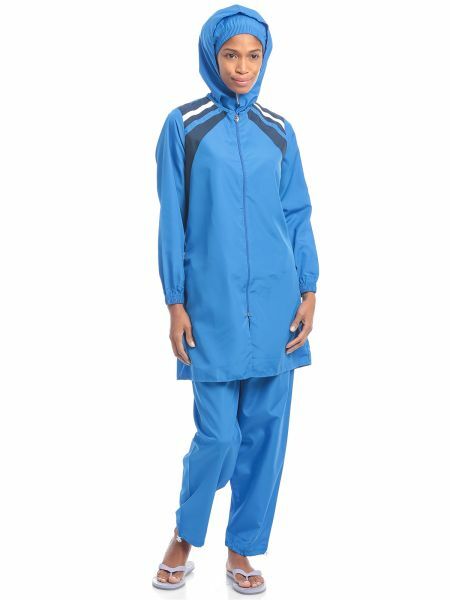 Go out for a swim wearing this suit which covers the whole body except the face, the hands and the feet, while being light enough for swimming. The design is intended to accord with Islamic traditions of modest dress. Wear these while going swimming and carry along your goggles.